Megan Kimmel leads the way for Team USA women, Mario Mendoza leads for the men. 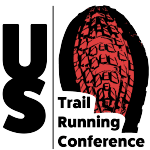 Post-race report written by USA Team Leader Jason Bryant. Days of rain throughout Europe final gave way to sunny skies for race day at the WMRA World Long Distance Mountain Running Championships in Podbrdo, Slovenia, on Saturday, June 18. With a mixture of technical terrain, complete with rocks and mud, the footing was challenging on many parts of the course. Those with tentative descending skills were quickly left behind by those who were more sure-footed. The climbs were long and steep, some referred to them as unrelenting. The short paved road sections allowed for a longer stride, but also required gear changes. 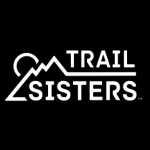 The best runners on the day were those who were proficient in all types of mountain running technique. In addition to Kimmel, Team USA included a diverse group with a wide range of skills to take on the challenging course featuring Anita Oritz, Kristina Pattison, Cam Mayfield, and Maria Dalzot. Mayfield, who at 23 years old, is relatively new to the mountain scene fresh from collegiate athletics commented, “It was the hardest physical challenge I’ve ever taken on. The camaraderie among countries working through the challenges together was a cool experience.” Mayfield finished in 26th position with a time of 5:03:26. The women’s team finished in a solid fourth position with a cumulative time of 14:24:59. Italy won gold placing two athletes in the top five positions resulting in a score of 13:48:18. In silver medal position was the host country, Slovenia, with a score of 13:59:51. Great Britain, whose top runner Annie Conway earned individual gold in a course record time of 4:29:01, led her country to the bronze. Their score was 14:04:02. Second for team USA was Matt Shryrock, whose goal was to start out conservatively, “I went out at what I thought was smart for me, then steadily picked people off throughout the race. It worked well for me today and I’m a stoked to get 15th place.” Shyrock’s time was 4:01:28. Although the men didn’t all have their best performance on the day, as a team they posted a solid fifth-place finish with a time of 12:23:18. The Italian men took the top two spots with Alessandro Ramaldini setting the course record in 3:44:52, followed by countryman Marco De Gasperi in 3:46:12, to lead their team to a gold-medal finish with a time of 11:32:19, just five minutes ahead of the silver-medal Great Britain squad. Rounding out the top three was Germany with a score of 11:56:57. The host country was fourth in 12:11:11 led by bronze medalist Mitja Kosovelj in a time of 3:46:33. Complete results can be found at http://www.gm4o.si/. 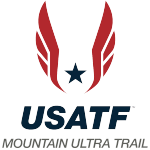 To follow team USA, visit www.usatf.org and www.usmrt.com.